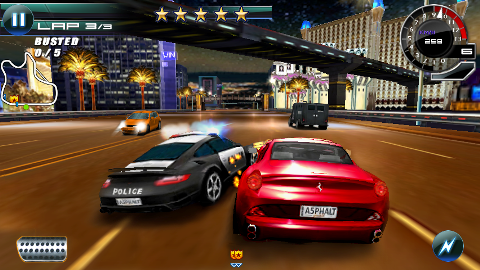 If Android games were not at the other mobile platforms like the iPhone, with the arrival of new generation devices, the editors finally decide to offer HD and 3D games for Android. This selection will be updated when we have additional information particularly in terms of availability and rates games. Android games from Gameloft available from 21 May on the website or WAP (wapshop.gameloft.com / wifi) of the publisher. No date yet on the Android Market. 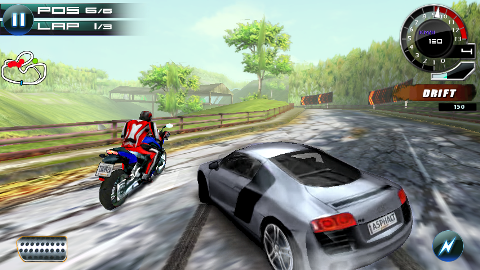 See our video of grip Android Gameloft games. With the standardization of features on the Google Phone Premium (Snadragon chip at 1GHz, WVGA comfortable, substantial RAM and ROM), publishers can offer 3D games on Android. 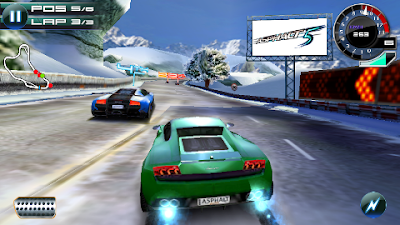 If Asphalt 5 HD for Android is a game well put together, it also requires a solid configuration and is designed primarily for owners of HTC Desire, Motorola Milestone, Sony Ericsson Xperia X10 and Google Nexus One. In good portage, Asphalt 5 for Android builds on the qualities of the iPhone version, the game delivers a good feeling and speed and uses the same gameplay. To drive the vehicle you have 3 modes, the arrow keys or the steering wheel touch and accelerometer. The latter being well managed by the game brings more fun. A real slap visual Asphalt 5 is currently the most beautiful game on Android. Sets and vehicles are well modeled and the graphics are neat. With 12 channels available in single player and the addition of multiplayer options, life is correct.